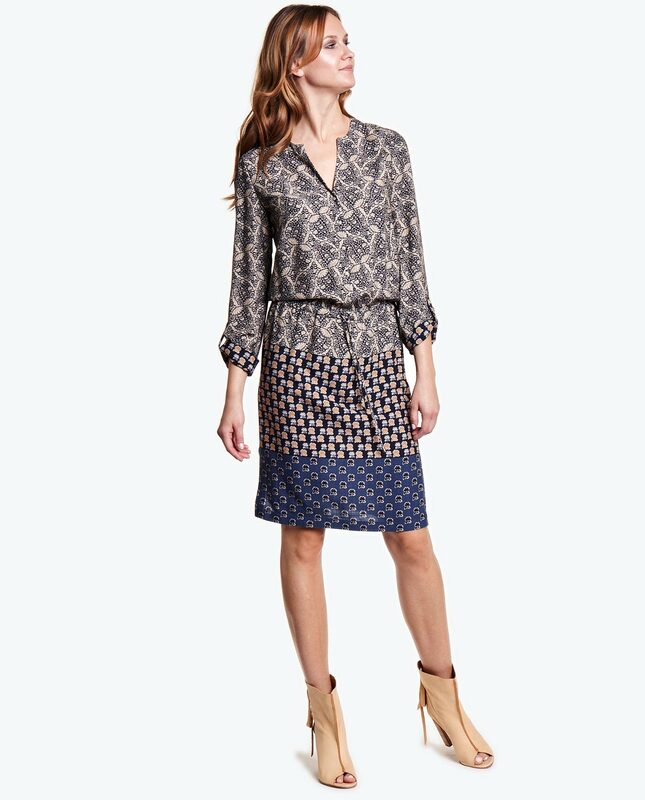 A patterned classic dress with long sleeves. The dress is manufactured from delicate, flimsy fabric. The sleeves are finished with narrow cuffs, each fastened with a button. There is a waistband which flatters the bodyshape and creates a feminine appeal. Decorative tucks around the neckline. The style is ideal for casual and formal occasions. Lined and fastened with a fancy button.